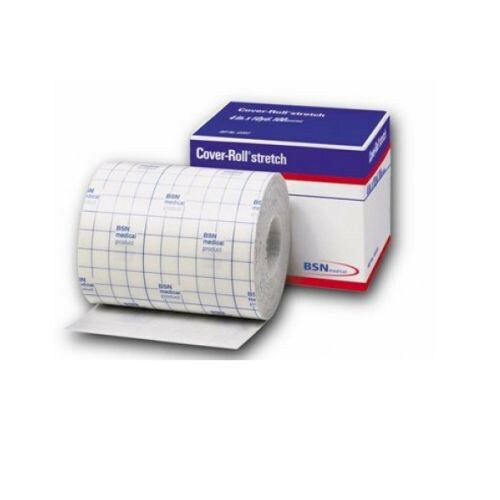 The Cover-Roll® Stretch Adhesive Fixation Dressing 45547 by BSN Medical has extra stretch to conform and adapt to body contours. It's latex free and its flexibility adds light compression to the primary wound dressing . It is available in a variety of sizes found in the family page. 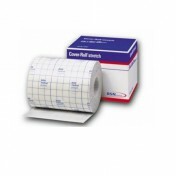 This variety offers a 2-inch width on a 2 yard roll to customize to the wound size. It's simple to cut to size using its paper-backing gridlines. The backing peels back when ready to apply. BSN uses a polyacrylate adhesive that firmly adheres and can be removed using regular rubbing alcohol if any residue is left behind. 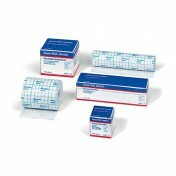 Cover-Roll® Stretch conformable dressings are non-woven with a permeable barrier to maintain a moist wound environment. Moisture vapor is released to prevent maceration and promote faster healing.